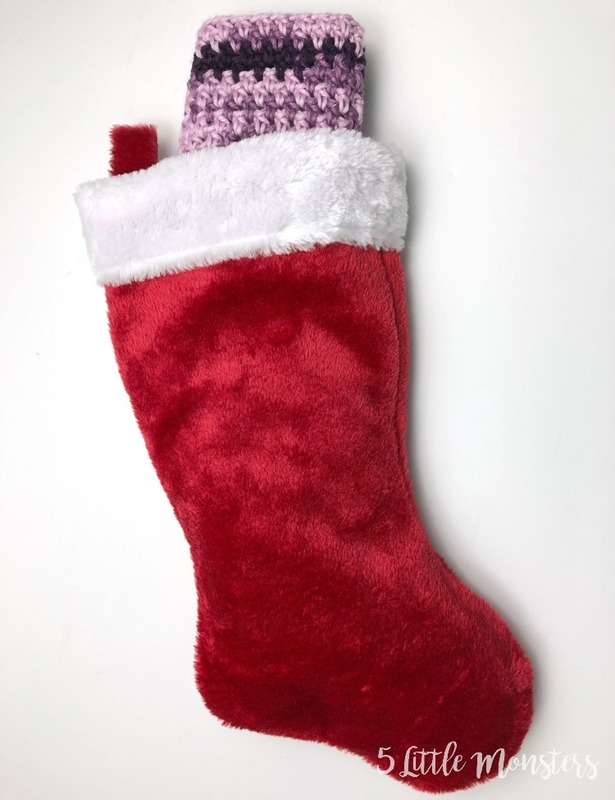 Each project will be something small, something that can fit in a stocking. For the most part they will be really quick and easy projects too, great for last minute gifts, or for making multiples of. Some will be quicker than others but none of them should be too complicated. 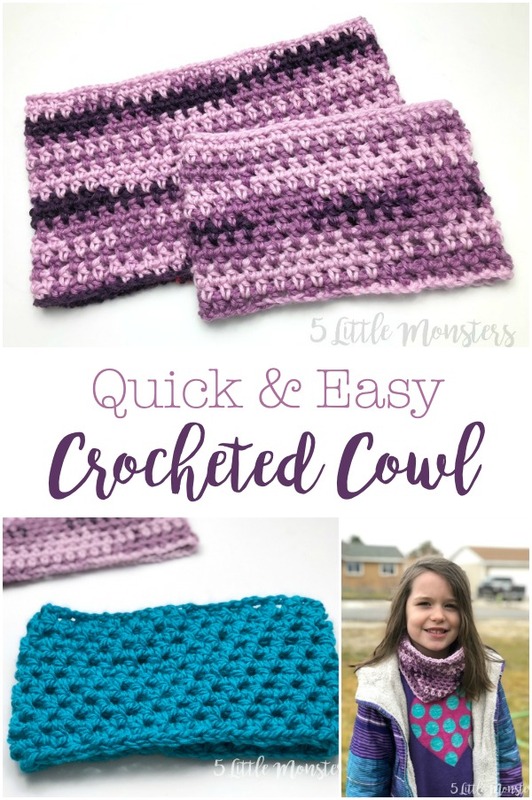 Most can be made with small amounts of yarn so they are great stashbuster projects. 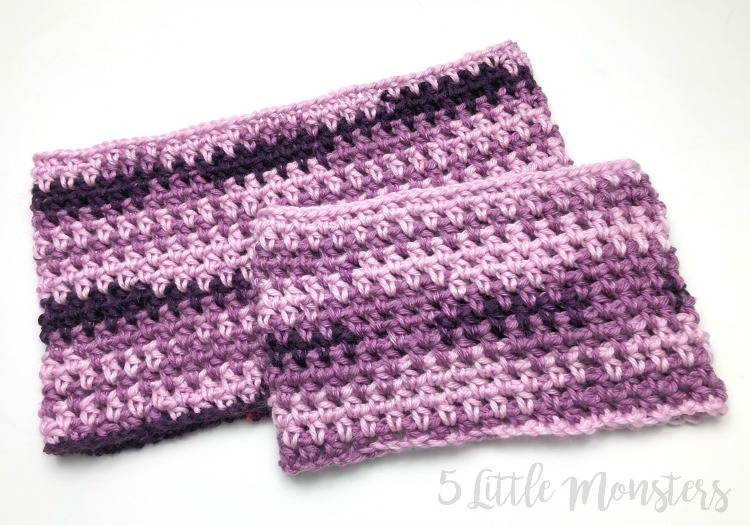 For Day 1 I have made a super easy cowl. 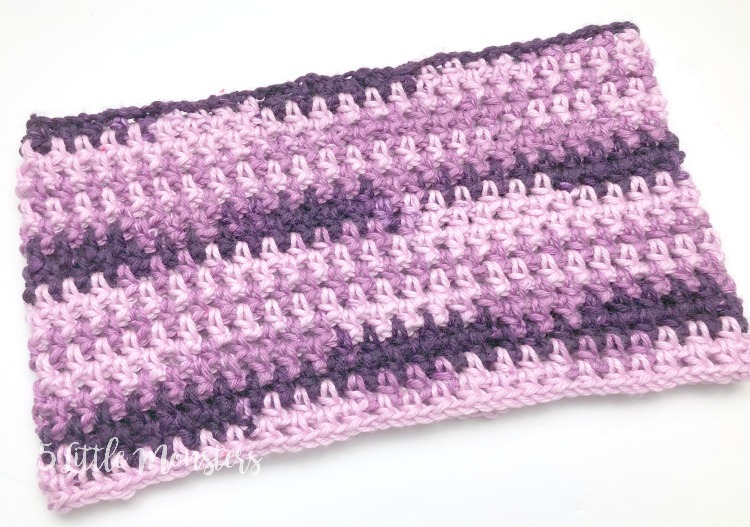 It can be made in any size and with any yarn and takes less than one skein so it is great for using up yarn that you have. 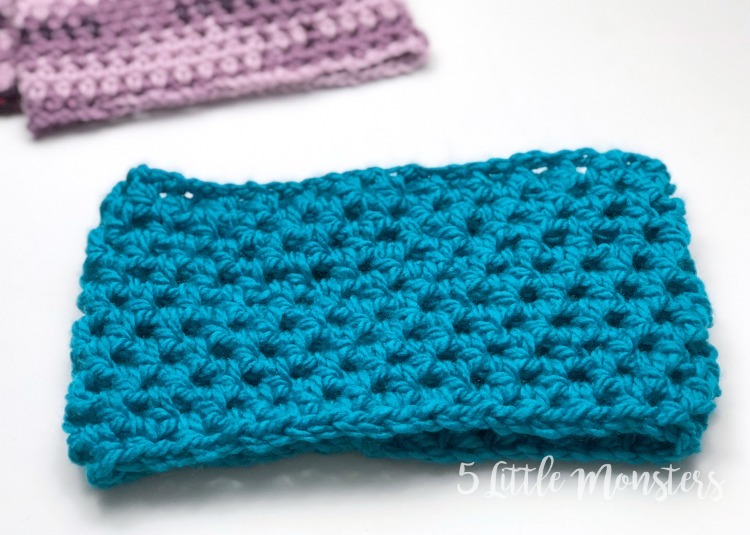 The stitch is very easy to make so it is a really quick project, and one that doesn't really take a lot of thinking, great for a project to take with you on the go, or for working on while you watch a movie. I made it in an adult and a child size so you can make one to fit anyone on your Christmas list. 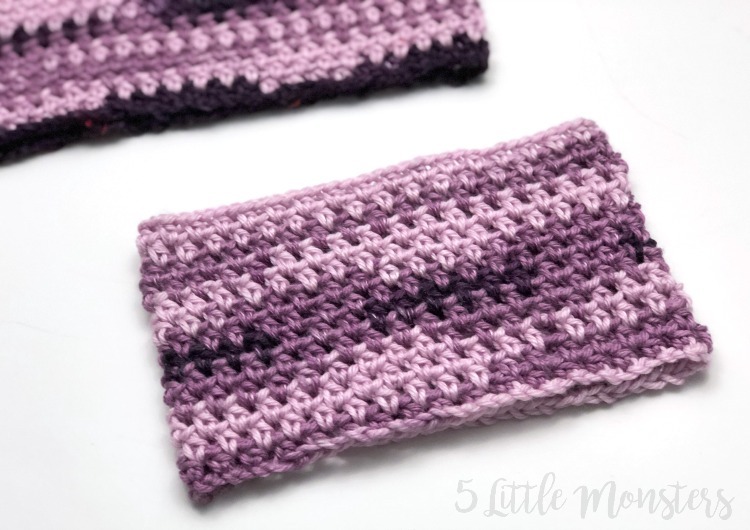 The stitch used for this cowl is a simple repeat that requires a starting chain with an even number of stitches. If you are using a different yarn, or would just like to make it longer or shorter than mine all you need to do is adjust your starting chain. You need to begin with a chain long enough that when joined in a circle it is the size you want your cowl to be. 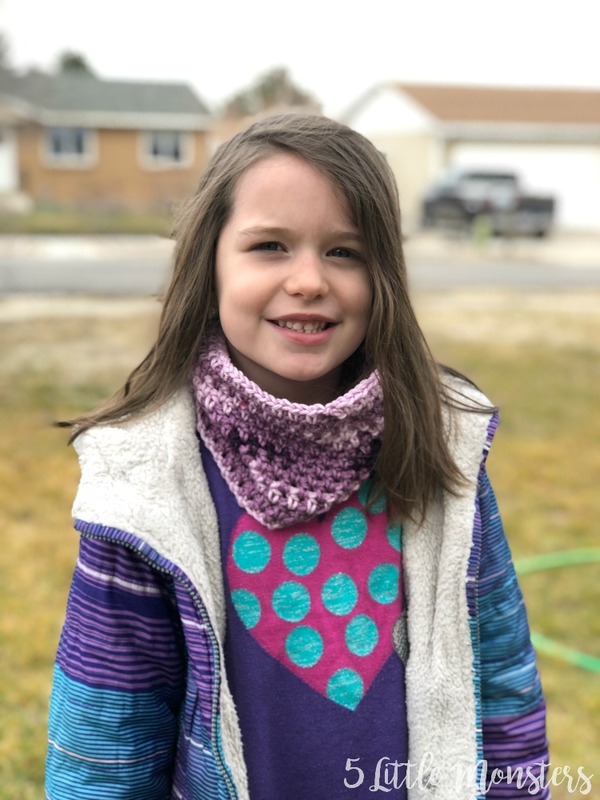 I started with a chain of 100 for my adult size, 70 for child size, and for the version I made with bulky weight yarn I used a 10mm hook and started with a chain of 54. If you wanted to turn it into a longer infinity scarf just begin with a chain long enough that it could be wrapped twice around your neck. Just make sure that however long you make a beginning chain that is an even number.